Many people have an expansive makeup collection, but the thought of lugging seventeen eyeshadow palettes or five different contouring kits with you on your journey probably seems a tad too excessive.Travel makeup bags are handy for storing your travel essentials, whether you’re spending the weekend with friends or jetting off for two weeks in the sun. Travel makeup bags can be more compact in size than a regular makeup bag, which is great if you’re looking to travel light. On the other hand, they can also be bigger, allowing space for wash items such as travel shampoos and conditioners. When considering which travel makeup bag to buy, it’s also worth thinking about other attributes too, whether it’s the materials it’s made out of or the detailing in the design (especially if it’s a gift idea). Most travel makeup bags are made from a wipe clean material, such as PU leather or Polyvinyl, so even if the lid to your eyeliner comes off, you can easily clear away any mark with a damp cloth. Designer makeup bags are incredibly popular, and are often stylish as well as practical. If you’re looking for a fail-safe gift idea, you may want to look at offerings from designers such as Mulberry and Ted Baker. While not the most fashionable, clear makeup bags should be considered by frequent flyers, especially if you tend to carry your makeup in your hand luggage. Airport security requires that your makeup is placed in a clear bag for inspection, so purchasing a clear makeup bag should remove the need for faff. 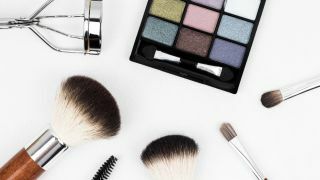 At the other end of the spectrum, those who prefer to take a practical approach to buying accessories should head over to websites like Very, which are treasure troves for finding great travel makeup bags at decent prices. Our list features a range of travel makeup bags so you can find the right one for your requirements. Sharing its name with Bugatti, you should expect finesse and beauty when it comes this Mulberry makeup bag. The leather exterior is available in a range of colours, so there’s plenty of appealing colours to meet different personal tastes, while the wipe-clean interior lining means you can still afford to have a mishap with your mascara, even though the cost of this makeup bag is more expensive than the average handbag. Fair in size, you can afford to pop in more than your bare essentials, making it a great one for both weekend or weekly holidays. Marble and rose gold are bang on trend, so combine the two and you have the ultimate fashion accessory. Spectrum, the designers of this makeup bag, boast that it’s large enough to house their 12 piece makeup collection plus more, which makes us think it’ll provide plenty of room, no matter your chosen makeup brand. With a soft faux leather exterior, it provides the aesthetics of our first pick without the pricetag; the only downside may be the white lining, which means any leaky makeup may leave a permanent stain. Having been designed so you can tower your makeup inside it like a pyramid, this leather bag is clever when it comes to limited space. With it’s prism-esque shape, The White Company also exclaim that it’s perfect for slipping inside a handbag- great if you’re road tripping with just the essentials. With a smart zip enclosure, you don’t have to open the entire back to reach your desired product, great if you’re looking to, quite literally, powder your nose in the bathroom. Available in both white or grey, this makeup bag whispers elegance, typical of The White Company. When it comes to fashionable florals, Ted Baker can always be relied on. Featuring the classic hues of dark blue and pink, this makeup bag is feminine without being in your face, and is pretty as well as practical. With a polyvinyl exterior, it can be easily wiped clean, although the rigidity of it means there’s less room for movement when it comes to stuffing in that last lipstick that you can’t bear to leave. If you really can’t compromise on the products you take with you on your travels, this pouch from designer Katie Loxton may do the trick nicely. This sizeable clutch can even provide a place for you to put various lotions and potions so you can stick to your skincare and makeup routine wherever you are. With a choice of colours and slogans available, those on the hunt for a gift idea could choose a bag that’s reflects the receivers view on life, whether it’s being brilliant, good as gold, or they’re just a ‘beautiful dreamer’. Travelling often involves careful management of luggage weight, so the lighter your storage items the better. This makeup bag from MAC is made from super lightweight nylon, so you’ll add no unnecessary weight to your suitcase. Those who find it hard to decide on what products to take may find the size difficult to deal with, but if you’re looking to save space in your rucksack, this bag won’t take up much room. It lacks the detail of other bags in our list, but for pure function, you can’t beat it. A clear makeup bag will save the faff of having to transfer all of your makeup from your usual bag to a clear bag for airport security. TSA approved, it should meet the specifications required by airport security, however we can't guarantee that some airports won't require you to transfer your makeup to one of their own bags. Made from PVC, it's easy to wipe clean, which is a massive plus as you won't be able to hide any leakages, and with one large and one small bag included in the set, there's one for your makeup and one for your lotions and potions, so long as they meet security requirements, of course.